We offer all aspects of gynecologic care. "By far the best gynecological doctor I have ever had." "The staff is top notch, and I would, (and already have) recommend friends and family." "They are very professional and make you feel comfortable." "They are a great group of doctors! I recommend them to all my friends and family." "Great group!! I highly recommend them!" "I feel that this is a very welcoming and happy office." "I've always been impressed with the speed of service." 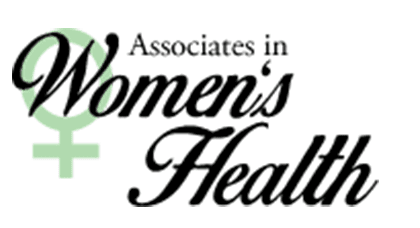 Associates in Women’s Health is a privately-owned physician practice offering the highest standard of gynecologic, obstetric, and aesthetic care. Located in Cincinnati, Ohio, our team consists of four doctors specializing in gynecology and obstetrics. The smaller size of our practice allows us to provide compassionate, individualized care to women of all ages, at every stage of life. We prioritize the unique health needs of each patient and are committed to empathetic, attentive care for women in both wellness and illness. Dr. Stephen Hornstein opened Associates in Women’s Health in 1957. Today our team continues his legacy by combining our years of experience with state-of-the-art technology and the latest medical advances. Please call us with any questions (513) 794-1500. "This is a fantastic practice! I have been going there for 14+ years. All the physicians are wonderful. They all helped us through two pregnancies and deliveries." "The staff is wonderful! I just had an ablation done. I felt very comfortable and the procedure was fast and easy." "The staff at Associates in Women's Health are wonderful. They are friendly and helpful. I consider myself lucky to be a patient." "Always takes time to listen. Is familiar with your history. Warm, caring and professional. I can't say enough about this doctor." "Great doctor with great bedside manner. Cares about her patients and never makes you feel rushed. I drive 30 minutes to see her and her office." "Amazing physician. Had MonaLisa Touch performed and would recommend to anyone having concerns with post menopausal discomfort!" "I've been a patient for 20 years. He has always listened to me. His staff and offices are very welcoming. I recommend wholeheartedly." "Great OB/GYN. I had and continue to have 100% confidence in his care. He was amazing during my delivery."